Albany, NY - May 8, 2013 - Governor Andrew M. Cuomo today announced the launch of New York’s largest tourism campaign in decades, committing nearly $60 million to grow the industry, create jobs and attract even more visitors to the Empire State. The Governor’s announcement came at the conclusion of the New York State Tourism Summit, where hundreds of tourism experts gathered in Albany to discuss ideas and new ways to bring tourists to every corner of the state. As the fifth largest employment sector in New York, tourism supported 714,000 jobs and generated more than $29 billion in wages in 2012. One out of every 12 jobs in New York is tourism-related. The more than 202 million international and domestic visitors that visited the Empire State last year resulted in $57 billion in direct tourism spending, and generated $7 billion in state and local taxes. Highest Level of Tourism Funding in Decades: The Governor announced the state would invest nearly $60 million in tourism funding - the highest level of tourism funding in decades, making New York State third in the country in tourism funding. Last year, the state invested $19 million in tourism funding. New I LOVE NY marketing campaign with Port Authority and MTA to promote Upstate NY tourism destinations: Under the partnership announced today, The MTA and Port Authority will provide $2 million dollars’ worth of advertising space on subways, bus and commuter rail systems and at airport arrival points and kiosks to promote Upstate tourism. The MTA/I LOVE NY Partnership will result in more 7,000 advertising spaces throughout the MTA subway, bus and commuter rail systems. This will include 2,500 posters at subway stations, platforms and in rail cars; 2,600 ads in New York City buses; 2,000 ads in Metro North and LIRR trains; and ads at 250 Metro North and LIRR station platforms promoting Upstate tourism. Last year, more than 8.5 million people rode the State's subways, buses and commuter railroads every day. In addition, the MTA and I LOVE NY will co-brand railroad destination and getaway packages to Long Island and Hudson Valley beaches, wineries, parks and attractions. The Port Authority/I LOVE NY Partnership will result in advertising at the Port Authority’s most important travel hubs and services: JFK Airport, LaGuardia Airport, PATH, Stewart Airport, the Port Authority Bus Terminal and the JFK AirTrain. Advertising spaces made available for this campaign by the Port Authority will include: Passenger walkways at JFK Terminals 1 and 5, featuring advertising on the interior walls and windows; large outdoor banners at JFK Terminals 1 and 4, designed to capture the attention of international travelers; 13 back-lit “dynamic” signs at JFK, LaGuardia, and Stewart terminals; “Path Through History” advertising featured on PATH and AirTrain car advertising and station platform posters; “I Love NY” signage and information at traveler information kiosks located in all JFK, LaGuardia and Stewart airport terminals; “I Love NY” video PSA’s on the Port Authority’s outdoor digital “Media Mesh” display at the Port Authority Bus Terminal; and more than 20 indoor and outdoor print/digital advertising resources at the Port Authority Bus Terminal, including high-visibility column wraps. Additional Airline and Airport Partnerships: As the first entry point for many travelers and tourists, the Governor announced new initiatives to welcome visitors to the Empire State and inform them about the state’s many assets and attractions. This will include on-site greeters and welcome centers at New York’s airports. The Governor also announced the state's airports will feature Taste NY. Additionally, the Governor announced that Delta Airlines will start featuring I LOVE NY advertisements in their in-flight magazine starting this month. NYS Sports and Special Events Commission: The Governor announced that the State will create a Sports and Special Events Commission. The commission will be charged with recruiting sporting and other special events to venues across the state – and competing for part of the $600 billion global sports tourism industry. New Welcome Centers at Border and Interstate Crossings: The centers will serve as hubs of information about the State’s tourism assets and attractions. New signs showcasing local attractions will also be strategically placed at these border and interstate crossings. New Taste NY Marketing Efforts: As announced today, Taste NY products will be sold at strategically located rest stops across the State. The Governor also announced there will be a Taste NY Tent at this year’s PGA tournament in Rochester, selling and sampling Made in NY products to tournament-goers. International Tourism Campaign: From Asia to South America: The Governor announced an international tourism campaign – ILOVENY ASIA / ILOVENY SOUTH AMERICA – that will invite people overseas to the Empire State and have a presence in emerging markets such as China and Brazil. There will be NYS representatives in parts of Asia and South America to promote the Empire State as a top travel destination and help plan itineraries. New Tourism Information for Decision-Makers: Empire State Development will be a clearinghouse for tourism metrics, offering New York’s businesses a place to go for information on how to best market to visitors and attract tourists. I LOVE NY in Times Square: The Times Square Alliance has agreed to give the state space at the Visitors Center to help market state attractions to the more than 400,000 tourists that pass through Times Square every year. 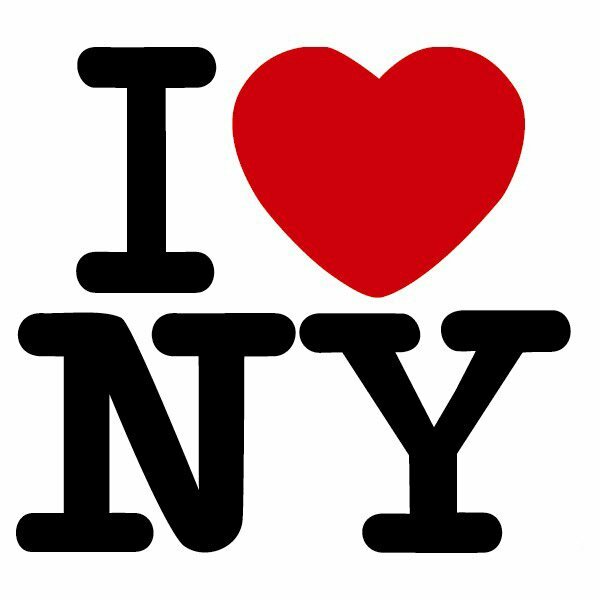 I LOVE NY LGBT: The Governor announced an I Love NY LGBT niche tourism initiative to market NYS to the LGBT community, which accounts for approximately $70 billion in tourism spending in the U.S. every year. Today’s summit follows a series of other initiatives spearheaded by Governor Cuomo, including New York Open for Fishing and Hunting, Path Through History, Wine, Beer and Spirits tourism and the Adirondack Challenge, designed to lure new visitors, create new jobs and spotlight the state’s natural beauty and unparalleled attractions. Subject: LongIsland.com - Your Name sent you Article details of "Governor Cuomo Launches New York's Largest Tourism Campaign in Decades"